SRMJEEE 2019 Application Form is made available by SRM University. Candidates can fill and submit application form of SRMJEEE 2019 through apply online link leading to srmuniv.ac.in. The last date to apply and submit SRMJEEE application form has now been extended till April 20, 2019. All the candidates who have passed or are appearing for 10+2 can apply for B.tech at SRM by paying an application fee of Rs.1,100. 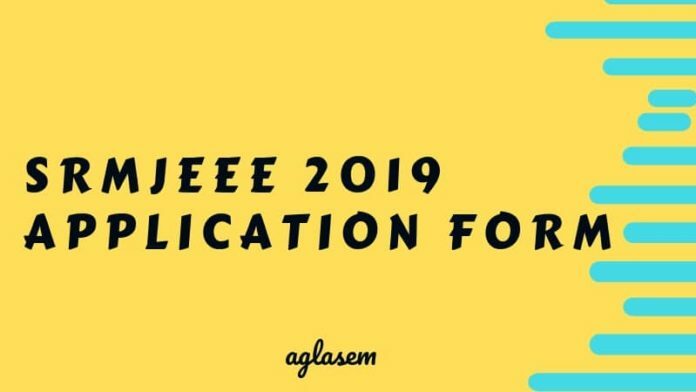 Here is all you need to know about SRMJEEE 2019 Application Form including date, fee, how to apply, eligibility, how to edit and other related information. Latest: The last date to apply for SRMJEEE 2019 has been extended till April 20, 2019. Apply Now. 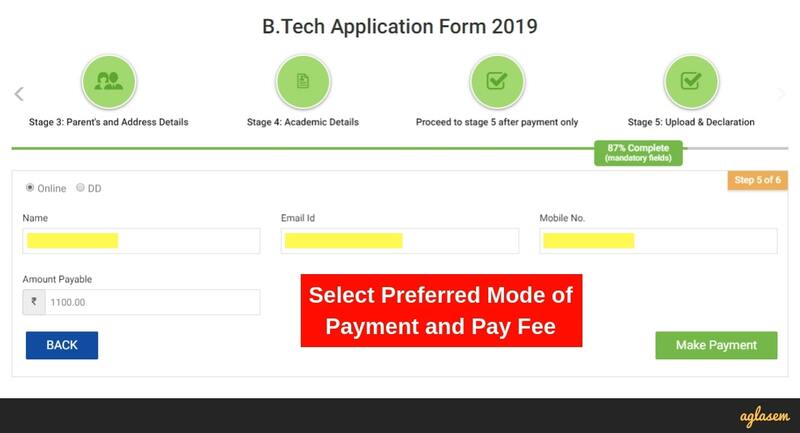 Fill and submit SRMJEEE 2019 Application Form to appear in SRM Joint Entrance Exam for B.Tech admission 2019 to SRM Kattankulathur (KTR), Ramapuram (RMP), Vadapalani (VDP), Ghaziabad (GZB), Amaravati (AMR), Haryana (HYN) campuses. Schedule for form filling and related events are as per dates in the table below. Feeling lazy? No worries, apply for SRMJEEE 2019 right here, right now from the window below. 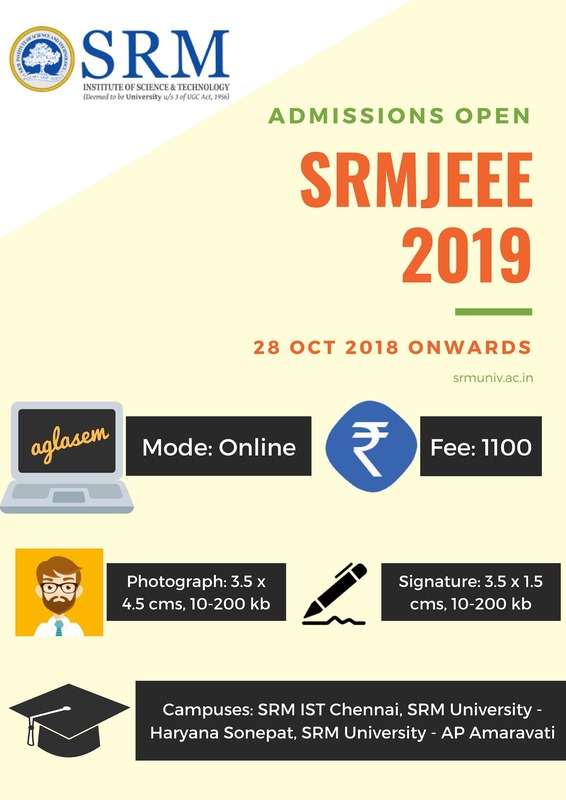 SRMJEEE 2019 Application Fee is Rs 1100 for all candidates. SRM University, SRM Nagar, Kattankulathur – 603203, Kancheepuram District, Tamil Nadu. Candidates who wish to fill the application form for SRM University Admission 2019 should keep these documents ready. Candidates will have to upload scanned photograph and signature on the application form of SRMJEEE 2019. 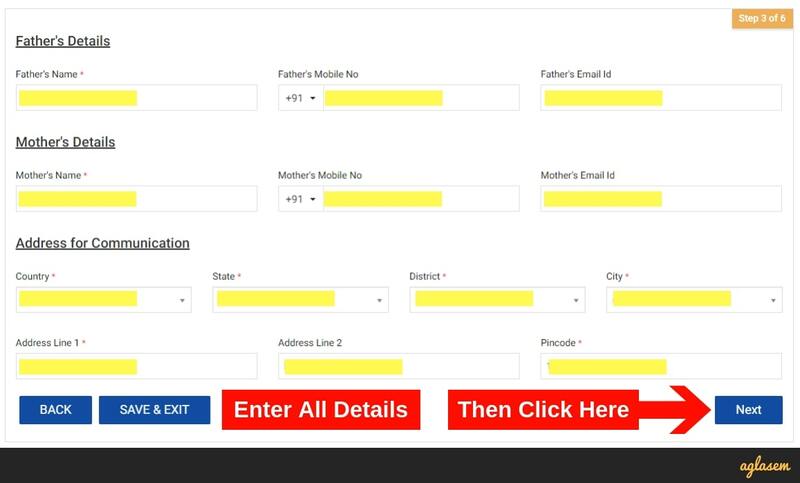 How To Fill SRMJEEE 2019 Application Form? The process of filling and submitting SRMJEEE Application Form is simple and candidate friendly. It is designed in such a way that class 12 students can easily fill it. Nevertheless, applicant may require help from the guardian at the time of fee payment. Complete step by step process to fill and submit SRMJEEE 2019 Application Form is explained here. Please note that this is an online process. Note for the candidates who wish to pay the fee through DD: Even those who wish to submit DD will first have to fill online form, then use the printout of the same to submit the form with DD. In order to fill the complete application form completely, Candidates will have to register themselves for SRMJEEE 2019. The steps to successful registration are elaborated below. 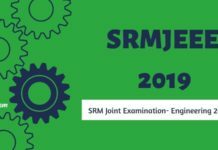 Step 1 – Reach the SRMJEEE 2019 Application Form official page. Click here to reach SRM Engineering Entrance Exam 2019 application form official page at srmuniv.ac.in. You will see new registration box just below image slider. You will see a new registration box on the right-hand side of the screen. Before you start filling details in the form, please read Instructions and university highlights. In new registration box, enter following basic details to register. After you enter these details, click the Register button. Now you get a thank you message on screen that also tells you that a verification link is sent to registered email ID. Go to registered email ID inbox. Then open the confirmation email from SRM. After that, click on verification link. 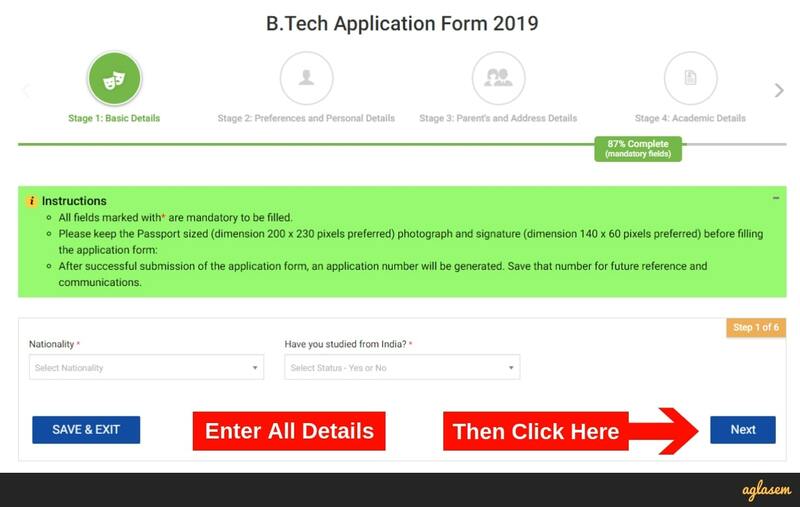 Your email ID is now verified and SRM B.Tech Application Form 2019 opens. In this section, you need to select the following details. Have you studied in India? Now you need to type in and/or select these details. Test city preferences 1, 2, 3. 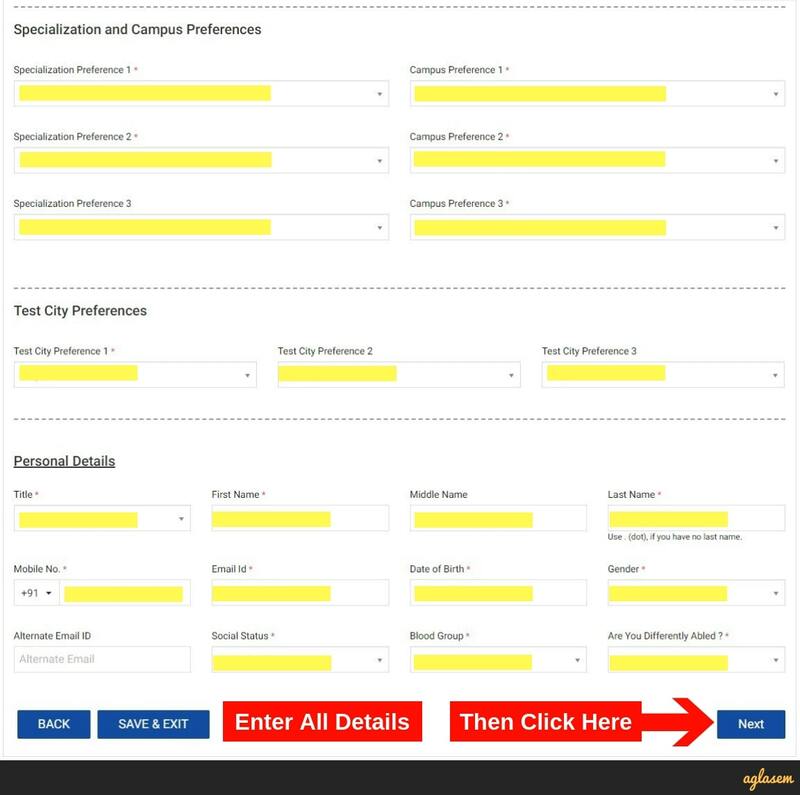 In this section, candidates have to enter or select following information points. Class 10 institute name, board, marking scheme, obtained percentage or CGPA, year of passing, roll number or registration number. Class 12 institute name, board, marking scheme, obtained percentage or CGPA, year of passing, roll number or registration number. (not compulsory if appearing, compulsory if appeared). After filling all details in application form, candidates will get the option to select mode of payment. Step 6 – Upload documents and read declaration. Read the declaration statement and if you agree, click it and proceed to submit form. It often happens that candidate forgets login details after applying to exam. In the event that one forgets email ID and password for SRMJEEE 2019 Application Form, they can easily get it by any of the following two methods given below. Option 1 – Check inbox. After applying, usually on the same day, SRM sends an email with login details to you. 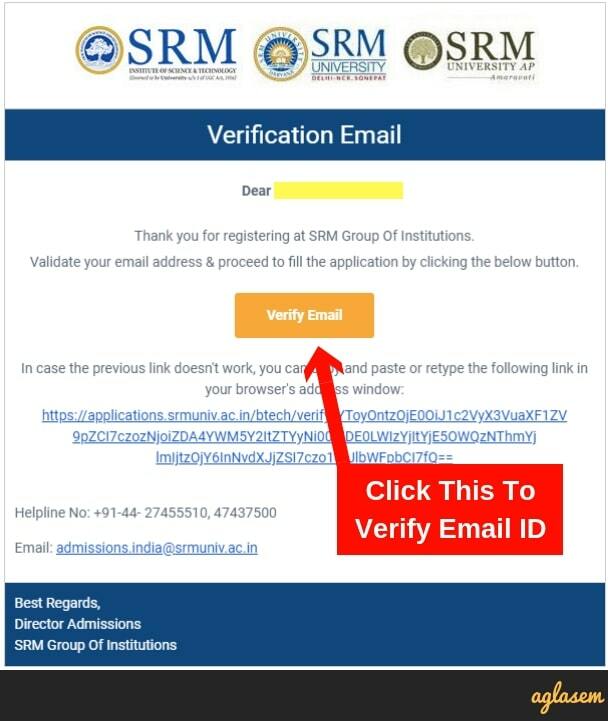 You can go to your registered email ID inbox, and search for this email ‘Account Details with SRM Group Of Institutions’. (see image below). In this email, you will see both email Id as well as password. 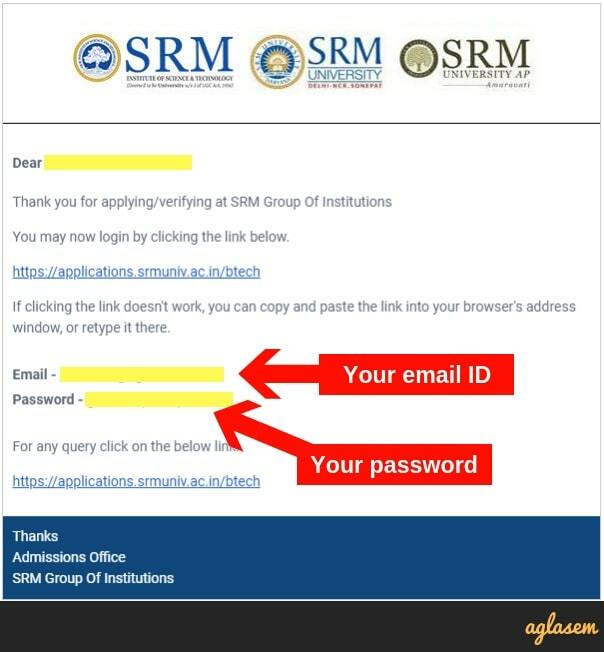 Option 2 – Use Forgot Password at srmuniv.ac.in. Go to SRMJEEE Application Form 2019 and locate registration box. Click “Existing User? Login” link. Now you get an OTP on registered email ID. Check it and enter it in given space and click Submit button. Enter new password and submit it. 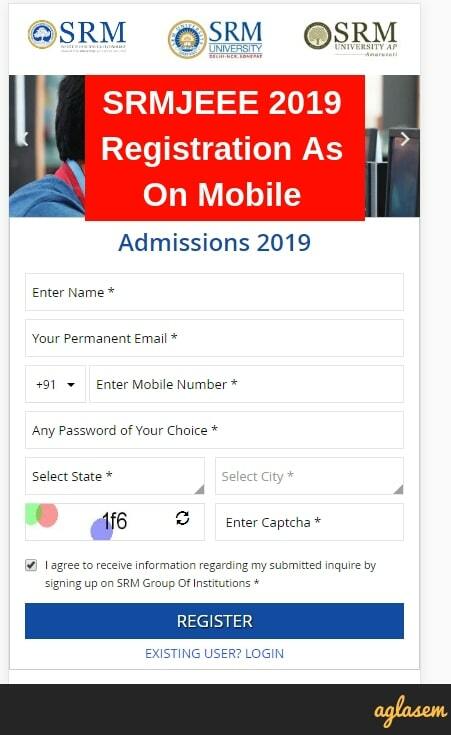 SRMJEEE 2019 Application Form Correction – Candidates can edit mistakes in SRMJEEE 2019 Application Form, except Mobile number and Email ID, from 05-10 Apr 2019. Please note that only those candidates who have submitted application form before last date can edit details. Incomplete forms cannot be edited. 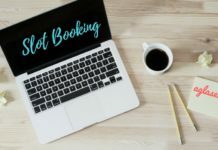 SRMJEEE 2019 Slot Booking – Candidates can book a slot for SRMJEEE 2019 as per schedule decided by SRM at srmuniv.ac.in. SRM shall issue test schedule containing center (city) wise exam dates. Candidates will have to see which exam dates are available in their city of choice and select suitable dates that are available. 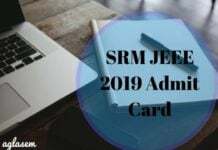 SRMJEEE 2019 Admit Card – Once slot booking is done, admit card of SRMJEEE is issued. Candidates must download and print it in order to appear in exam. Usually, students resort to email to get answers regarding SRM 2019 Application Form, admission and other details. However, the university encourages them to use SRM Query Management System (SRM QMS) to get quicker responses about SRM Admission 2019. To use SRM QMS, do these steps. Register and verify email ID. Go to your dashboard (by logging in using email ID and password). Click on ‘Any Queries? Ask Us’ button. Select query and submit it. SRM Institute of Science and Technology, erstwhile SRM University has announced that fully submitted forms can be edited during SRMJEEE 2019 Application Form Correction window. Note: Candidates can edit all details except email ID and mobile number. How to edit details in SRMJEEE 2019 Application Form? The process of editing details in application form of SRMJEEE 2019 is simple. Candidates can edit details in online mode at srmuniv.ac.in. Steps shall be as follows. Visit the SRM 2019 Application Form Correction official page. Log in using email ID and password. Edit details that you need to change. Submit form with edited details. SRM Institute of Science and Technology (previously SRM University) has consistently performed well in engineering college rankings. It is often counted among the top engineering colleges in India. For admission to B.Tech programs, candidates can appear in SRMJEEE 2019, which is the engineering entrance exam conducted by SRM. Tuition fee at SRM varies between 175000 to 375000 depending upon campus and branch. Candidates can check complete tuition fee at srmuniv.ac.in. Official website of SRM University: srmuniv.ac.in. If you have any queries about SRMJEEE 2019 Application Form, please ask in comments below.